Coolclean provides specialist repairs to all cooling towers. Our technicians are fully equipped to enter cooling towers for repairs, and to identify safety and performance issues. Whether your cooling tower has a mechanical fault, corrosion, a leak, or needs new fill pack, drift eliminators, air intake louvres, we deliver cost effective repair solutions. 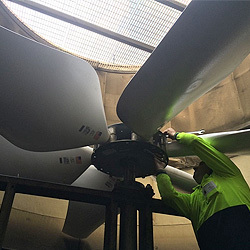 • When refurbishing old, unsafe cooling towers, our aim is to reuse existing mechanical equipment wherever possible (gear boxes, driveshafts, motors, fans, fan stacks, supports). • Rebuilds include new structures, fill pack, drift eliminators, water distribution system, fan deck and casings. • Coolclean is the official representative for Fibreflow cooling towers, fluid coolers and evaporative condensers in Victoria and Tasmania. • Our Melbourne-based factory stocks a range of cooling tower spare parts including fill pack, drift eliminators and air intake louvres. All repairs to all cooling towers including Aquacool, BAC (Baltimore Air Coil), Brentwood, Budge Ellis, Coolboy, Coolmaster, Davenport, Evapco, F Muller, Fibreflow, Fibre Tech, Hamon, Hydrothermal, Lakeside, Linear, Marley, Maxichill, Messan, Muller, Radic, Shinwa, Sulzer, Superchill, Temcel and Tower Thermal. Contact us to arrange an inspection at your site. 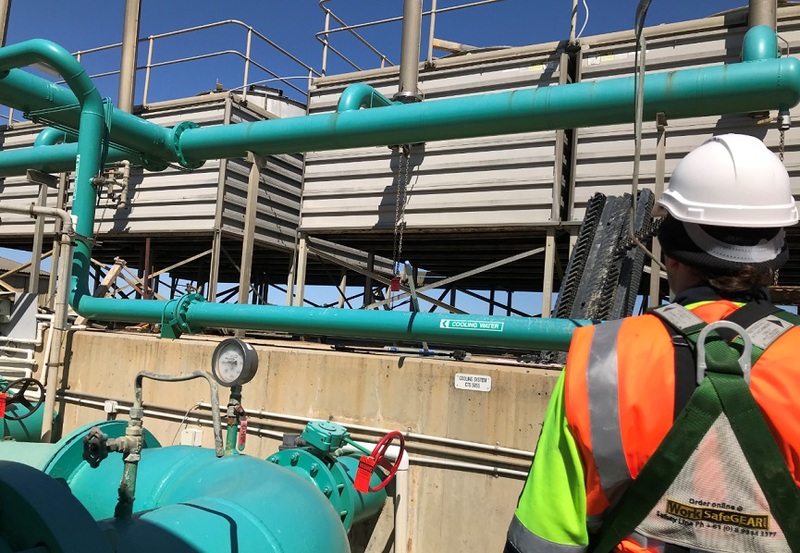 If you are considering a cooling tower refurbishment or upgrade for an ageing cooling tower, we can conduct a comprehensive review to determine its current condition and performance. Our improvement recommendations vary from a minor upgrade of spare parts to a complete cooling tower replacement. Reports include photos. All quotations include a fully itemised costing of services and parts required. Fabrication and installation of access platforms and hand rails to AS 1657-1997. Sunlight reduction to wet areas.